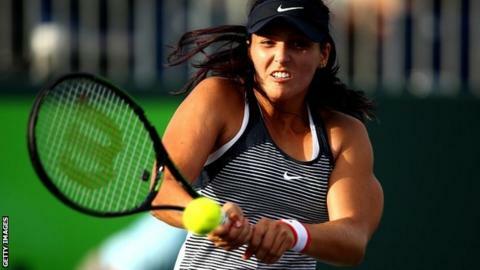 Former British number one Laura Robson will play at next month's grass-court Wimbledon warm-up event in Nottingham. The 22-year-old joins an impressive list at the Aegon Open on 4-12 June, including Caroline Wozniacki, Victoria Azarenka, and British top three Johanna Konta, Heather Watson and Naomi Broady. Robson reached world number 27 in July 2013, but has struggled since returning from a serious wrist injury last year. "I am excited to be returning to Nottingham," Robson said. "I remember how great the grass courts are there. Preparing well on the grass is key ahead of Wimbledon and Nottingham is the perfect place to start. "I really enjoy this time of year, to be able to play in front of a home crowd. It is fantastic to see a strong British turnout for the event as the fans always create such a great atmosphere."